My name is Marlene Chism and I’ve authored three books. My first book, Success is a Given is a self-published book written while I was in transition of my journey of reinvention…a “bridge” between my previous life and my journey into becoming a commercially published author, speaker and consultant. 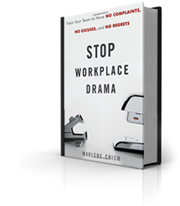 My second book, Stop Workplace Drama was commercially published by Wiley and Sons in 2011. 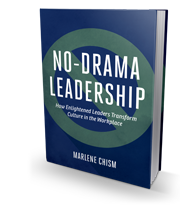 No-Drama Leadership, my third book was commercially published by Bibliomotion in 2015. Both of these business books continue to open doors to meet interesting people and work with incredible companies. 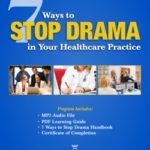 The magic for me when someone picks up my book and engages me to work with them is that I get to learn about all kinds of industries from manufacturing to health care to private practice to public safety, and I get to travel to interesting places around the country. I have the pleasure of working with people from all walks of life, and I jokingly say that I’m a consultant that speaks three languages: The language of the owner, the language of the manager, and the language of the employee. I understand these three ways of viewing the world because of where I have been on my own transformational life journey. For over 20 years I was a blue-collar factory worker. My growth has allowed me to embody the truths that I now live and teach: The idea of being a creator of your own life, of taking full responsibility of living by core values, and the importance of self-mastery in leadership. Through a journey of self-discovery and personal development I had an awakening. I became motivated to fulfill my potential; to tell the truth about what I really wanted, and take the initiative to discover, develop and deliver my unique gifts to the world. I went back to college and got my first degree in Communications from Drury University. As a late bloomer at age 40, I started my company ICARE Presentations, and mostly offered speaking and some training. Earning my master’s degree from Webster University was yet another transformational moment. I started to understand the value of education as I was able to apply my work-experience and knowledge with academia and the world of business. I will never forget one of my professors telling me that my capstone could lay the foundation for a book, or an entire consulting methodology. My capstone paper was entitled Drama in the Workplace Hampers Productivity: The effect of relationships on the bottom line. I am consumed with learning everything available from personal growth, how the brain works, the connection between mind, body, and spirit, organizational development, process consulting and how to connect all these parts to life and business. As much as I value my formal education, and I do place a very high value on it, being a business owner has taught me more about leadership and personal responsibility than any university could teach in a lifetime. Because I know what was and is possible for me, I have a passion to helping anyone, from corporate executive, to individual seeking change. The purpose of Marlene Chism Inc. is to improve communication and relationships, build wise leaders, and to help individuals discover, develop and deliver their gifts to the world. The result on a personal level is more joy and higher personal effectiveness. On the professional level the result is profitability through clarity and alignment.